Practicing Service Above Self, members of the Rotary Club of Three Creeks are making an impact by providing service and support in North Clark County. Did you know there are just 3 reported wild cases of polio in the world (two in Pakistan, one in Afghanistan) through April 10, 2019? And with another Polio Free year this year, it will be eradicated from Nigeria! That's the impact Rotary has. The Rotary Club of Three Creeks’ signature fundraising event is Dancing with The Local Stars 2.0, a dance competition with local “celebrities” paired with professional dancers. Six contestants vie for best dance, voted by guest judges. The ultimate grand champion will be the local star who raises the most funds. That person takes home the coveted Mirror Ball Trophy! The Rotary Club of Three Creeks is a very active service club. In the 30 months of the club's existence, we have completed 29 service projects. Please keep an eye on the "Our Events" tab on this page for upcoming projects. 4/18 - Club Meeting at Creed Coffee, 5:30 p.m.
4/20 - Service Project at Salmon Creek Regional Park, 8:30 a.m-1:30 p.m. 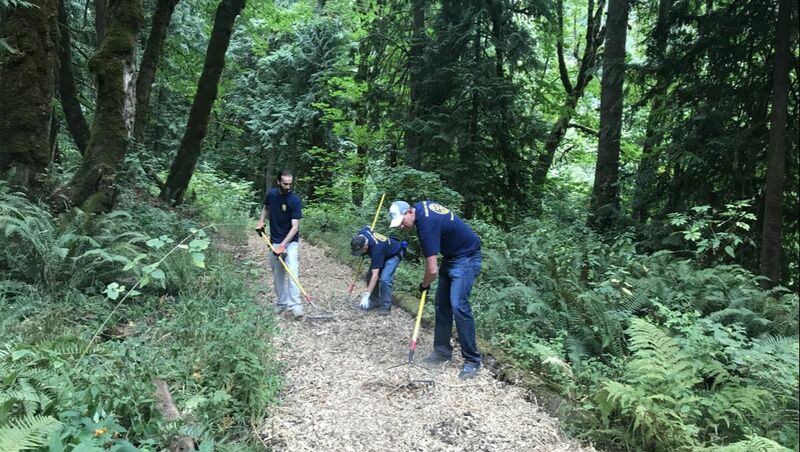 Please take a moment to check out our calendar for upcoming Hands On service projects in the Hazel Dell, Felida, Salmon Creek and Ridgefield area. You'll also find the latest information about our club meetings. The General Membership is the most common membership in our club. It allows an individual to be a member of the Rotary Club of Three Creeks, and to actively participate in the service opportunities the club provides across the community, per the definition of participation in the club's bylaws. ​The Family/Partner Membership allows a couple (two family members related by marriage/civil union/blood) an opportunity to be a member of the Rotary Club of Three Creeks with two members to actively participate in the club, per the definition of participation in the club’s bylaws. ​The Business Membership allows a small business, company or corporation an opportunity to be a member of the Rotary Club of Three Creeks with up to four members to actively participate in the club, per the definition of participation in the club’s bylaws.